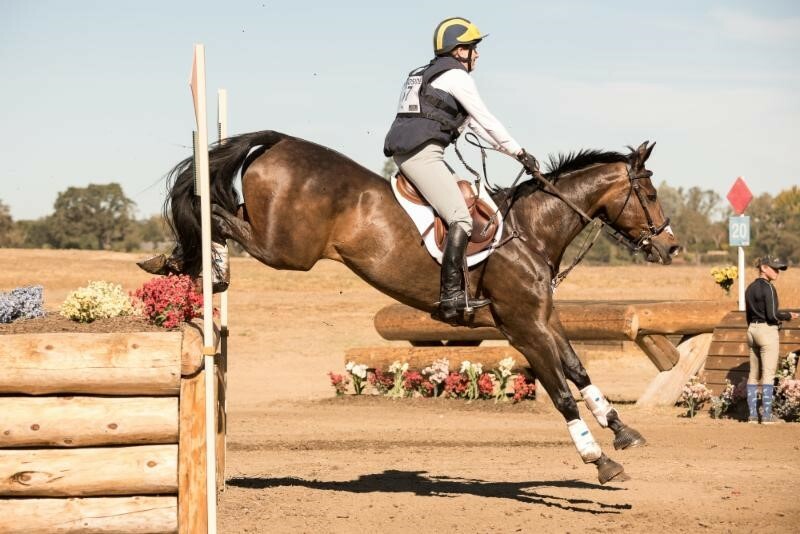 WOODSIDE — Mary Burke and Prince William added another winning chapter to a bio that the 13-year-old off-the-track Thoroughbred has compiled over their 10-year partnership, as the Ellensburg, Wash., duo secured the CIC3* win in true copybook fashion at the Woodside International. Riding in reverse order of standing, overnight CIC3* leader Frankie Thieriot Stutes of Occidental and the Chatwin Group’s Chatwin were last to start. The pair confidently jumped clear in only their second CIC3*, adding 7.6 time penalties to drop them to second place on a final score of 49.4. Busy CIC2* rider James Alliston of San Ramon stood overnight in first, third and 14th positions in the largest of the international divisions offered over the weekend. Bookend rides put him first and last to go in the division, and his own RevitaVet Elijah scheduled midway through the division. As the two star pathfinder, Alliston piloted Thomascourt Cooley, owned by Sophie Hulme, flawlessly around the track, accruing just 2.8 time penalties to put them second in final standings on 50.5. The fastest CIC2* round of the day went to Alliston’s RevitaVet Elijah, who jumped clear to move up to sixth place (56.0). An out of character unexpected stop and subsequent time penalties at the penultimate fence dropped overnight leader and last to go Sunsprite Warmblood’s Sunsprite Madeira out of the top position. A surprised but pleased Lauren Burnell of Los Altos and her own Walterstown Don celebrated the win, the only ones in the CIC2* to finish on their dressage score (45.6). Julie Flettner of Petaluma and her bay Hanoverian mare, Ping Pong, led the CIC1* division from start to finish, galloping boldly around the inviting track that saw only a few scattered problems during the division. 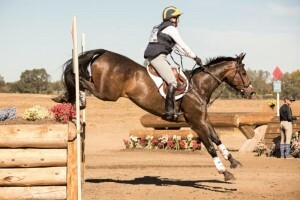 Heather Morris of Wildomar and Sunsprite Warmbloods’ Sunsprite Syrius added just 0.4 time penalties, retaining their second place. Tara Verkuil’s Greenfort Othello, piloted by Gina Miles of Templeton, had a quick and clear ride around the course, the fastest of the division, to move up to third place on 48.3 penalties. Tickets to the 18th Annual Galway Downs International Event can be obtained by visiting www.galwaydown.com.